Rome, April 14 - Napoli head coach Rafa Benitez urged his side to improve their defence following their 4-2 win over 10-man Lazio at home in Italian football league Serie A.
Gonzalo Higuain scored his first Serie A hat-trick in a thriller where Lazio, though reduced to 10 three minutes after the break, threatened a lot in the second half. 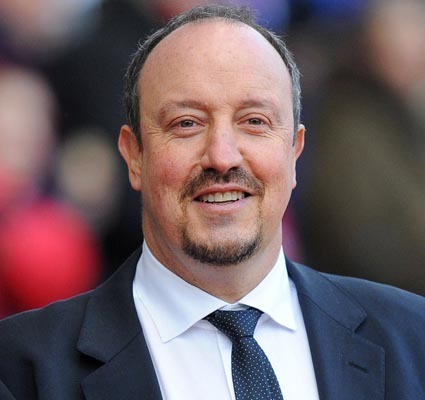 Benitez was delighted by Higuain's performance but not the team's defence, reports Xinhua. "We do still need to improve on the way we control the game after taking the lead. You can't win with just the attack or just the defence. What you need is a balance between them. We are well aware that we have to improve the way we defend as a whole unit and not just the back four," he said Sunday. The Spaniard warned his players to fight for a place in the first team as nobody was assured of a place.